In these cold winter months the condition of your home furnace becomes of paramount importance. If it shows any signs of problems, you want to have them handled as soon as possible. A proper functioning furnace should be keeping your home and family warm through the coldest winter nights. If bumping up the thermostat a bit isn’t keeping you warm, then this is definitely an indication of trouble. There may be more subtle signs of problems with your furnace. You may be perfectly warm, but your electric bill to keep it that way may be steadily creeping up despite no lower temperatures outside. 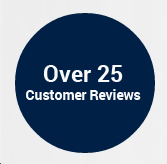 If your electric bill jumps precipitously, this could be caused by a variety of problems and you will need to have a professional diagnose the problem. If it is breaking, you will need to get it fixed eventually anyway. 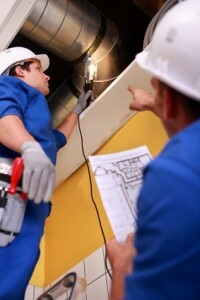 Getting it done now will yield immediate savings in your electric bill. If your furnace is making strange noises, this is another sign to call someone before whatever is causing the sound breaks altogether and gives you a real headache of a repair bill. Noises emanating from the furnace may mean that a loose belt or a failing component needs to be replaced. It could also be an ignition problem. Only a professional with the tools and experience can tell you for sure. The increase of breathing-related problems among your family when inside the house could also indicate a furnace problem. If you notice a sharp rise in asthma or allergy attacks, you will need to call someone to determine if the furnace may be the culprit. When you notice a problem with your furnace, timely repairs can save you money. If you allow it go unchecked, whatever is wrong inside the furnace to cause it to make a noise or fail to heat the house properly may fail altogether. This will at a minimum mean a night without heat while you wait for a repairman to arrive and could also mean a bigger repair bill. 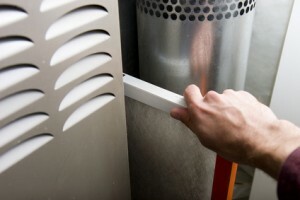 If you properly maintain your furnace by catching any problems immediately, it will last you a long time. Many people consider furnace repairs expensive, but they can be cheap compared to having to get a new furnace. If you plan to live in that home for a long time, keeping your furnace in tip top shape will give you the peace of mind of knowing it will always be working when you click on that thermostat. Is it time for your furnace in your Bellingham home to be repaired? We can help, Call Eagle Plumbing and Heating at (360) 318-9999 today, and get your furnace back to its working order. The Ins and Outs of Bathroom RemodelingChanging Your Air Filter Will Save You Money!